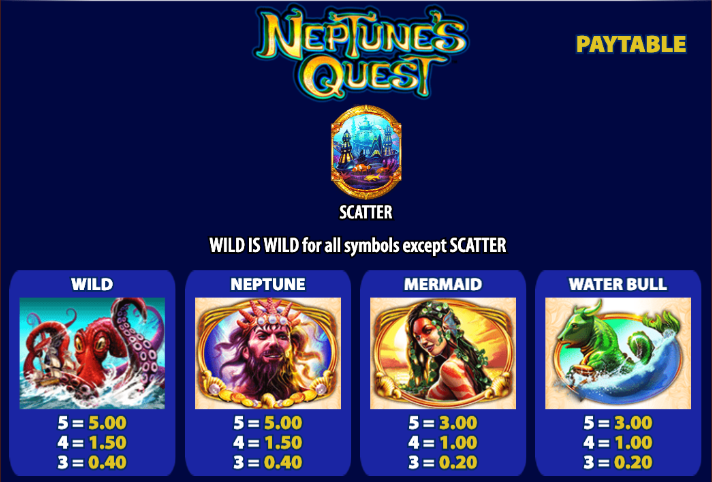 The Roman god of the sea is the theme of this online slot from WMS Gaming and Neptune’s Quest takes us far below the surface to visit his spectacular underwater home; an interesting payline structure and plenty of free spins await those prepared to make the trip. 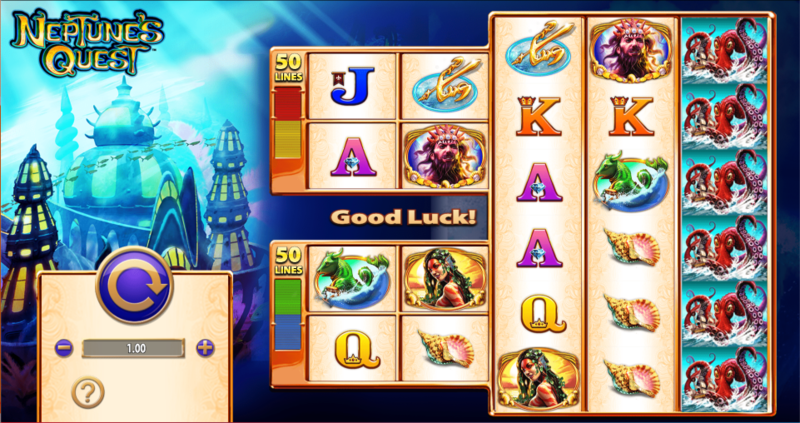 Neptune’s Quest plays out on the reel structure shown above with the two sets on the left joined to the larger set on the right – there are one hundred paylines in total, split between the upper and lower halves of the setup. There are plenty of high value symbols including Neptune, the mermaid, the water bull, the trident, the fish, the shell and the starfish; J, Q, K and A make up the lower values. The giant octopus is wild and it will replace all other symbols to help make winning matches except for the scatter icon. Land three scatter symbols on reels 9, 10 and 11 (the long ones on the right). You’ll get five free spins for accomplishing this but if you can match four symbols and land three scatters on the right hand side you’ll receive twenty free spins. During the spins all those matching symbols are held in place and in any reel columns where there were none large, 2×2 symbols will replace the usual ones for a better chance of grabbing some wins. Landing three scatters on reels 9 10 and 11 during this feature will award an additional five free spins. 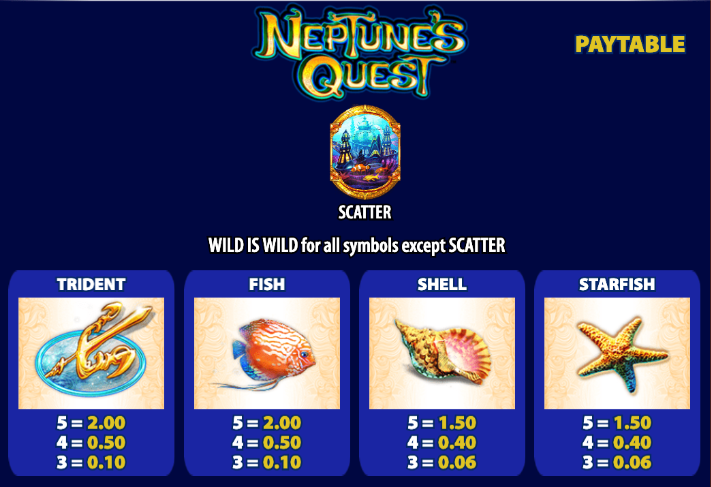 Neptune’s Quest is very recognisable as a WMS Gaming slot with it’s odd payline structure and fairly complex bonus feature; it’s good fun once you get going though and that wild octopus seems intent on helping out with some wins.